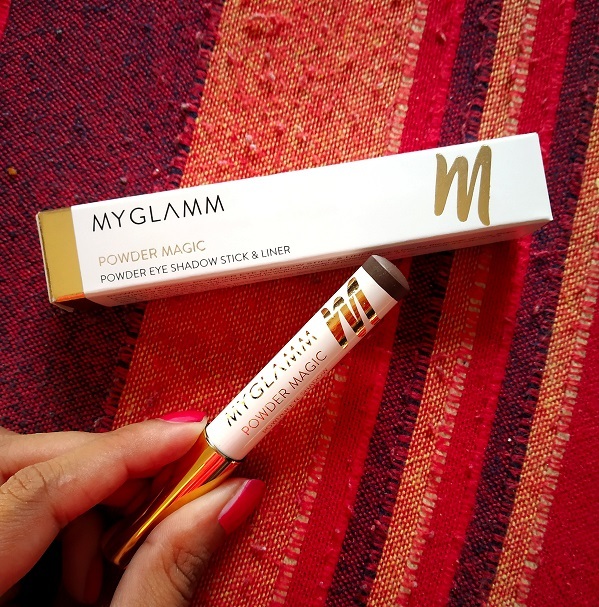 MyGlamm’s Powder Magic is an innovative pressed powder in a jumbo pencil form. It allows you to create dramatic or natural eyeshadow looks with ease and precision. 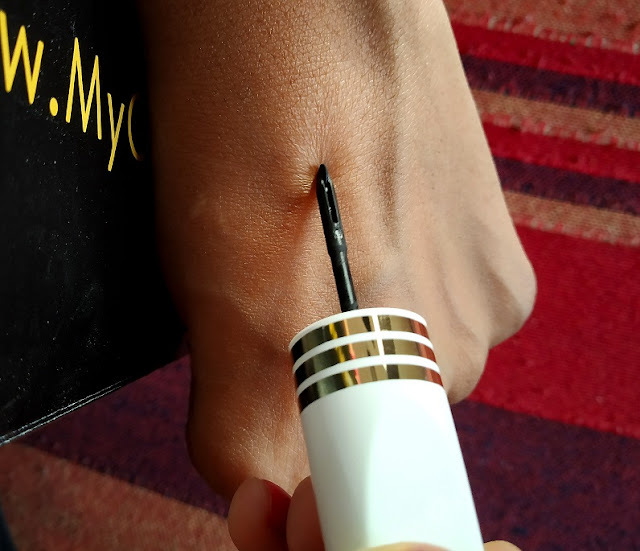 Its smoldering formula adds depth and dimension to your eyes in seconds. A shimmery pressed powder shadow, in gorgeous hues, sweeps across lids, over and under lash lines making your eyes appear sultry and smoldering instantly. The wheelie has you covered when it comes to precision eye art. An easy to use, revolutionary rolling disc applicator delivers perfection in one smooth glide for eye lining perfection. Use it to create all kinds of looks, dramatic wings, subtle flicks or ultra-thin strokes. From classic to contemporary and everything in between, Wheelie delivers the ultimate smooth thin line, every time. Plump, soft pout is just a swipe away! The Scrubilicious softly exfoliates lips on application. Particles dissolve on the surface leaving you with delectably soft lips. 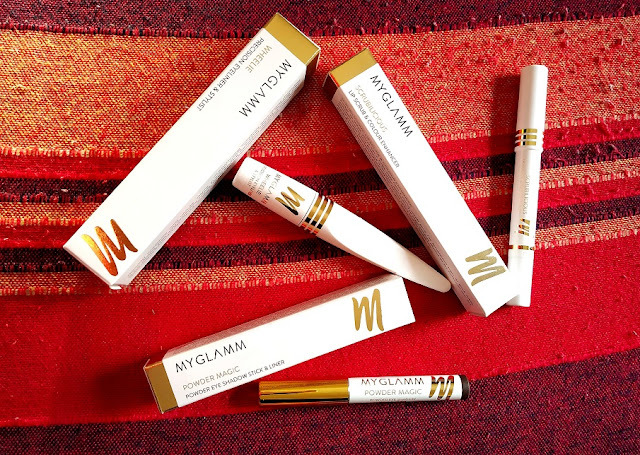 All the while, jojoba oil in the formula moisturizes and nourishes your lips. Doubles as a base for lipsticks too. 1) The first step is moisturizing your face & apply some BB cream as I always avoid using heavy foundations during the summer & I need just a little coverage so a normal BB cream will be enough for me. 2) Then I will apply some compact to just set the BB cream. 3) The Next product I will use is Powder magic eyeshadow stick in the shade smoky quartz. 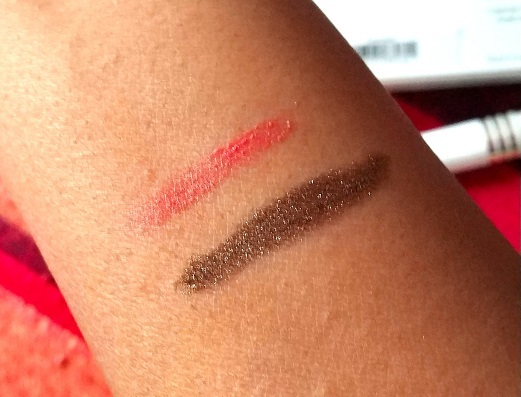 It’s a beautiful color to create some Smokey eyes. I apply it generously on my whole eyelids & help to set it through my fingers only. There is no need to use any separate brush for it. It is the deep golden brown color which is perfect to give depth to your eyes. It also contains fine shimmer which looks gorgeous on eyes. 4) Then I will move to apply the perfect winged eyeliner with the help of Wheelie precision eyeliner for Myglamm. 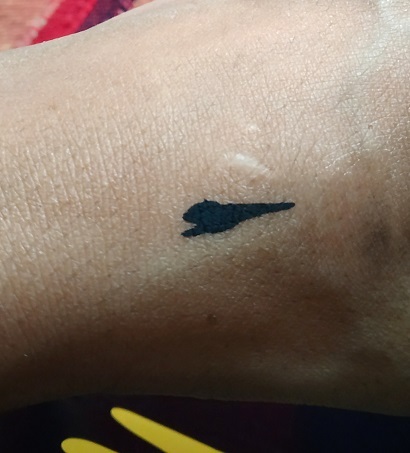 The applicator of this eyeliner is so unique. 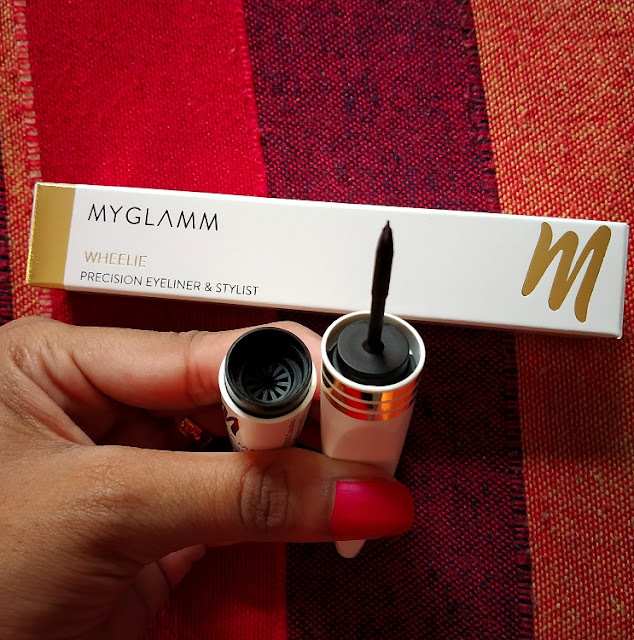 It comes with a wheel which helps to glide it perfectly for that precise eyeliner. It settles into matte finish & it dries fast too. 5) Now its time to give my lips a good pout. I am going to use Scrubilicious-Lip Scrub & Colour Enhancer for my lips. 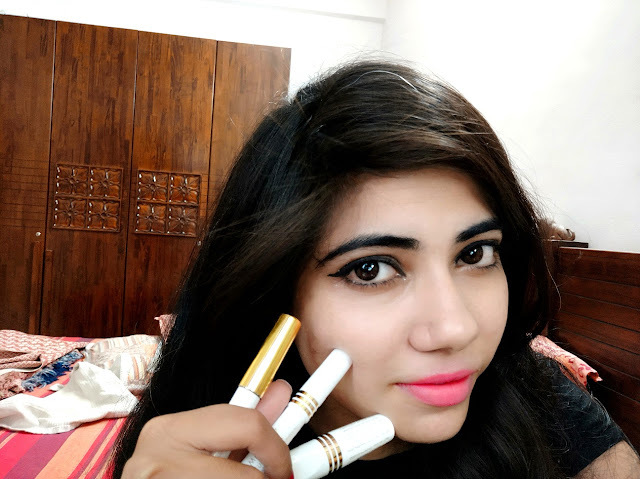 I have already pink lips without any pigmentation so by using only this product I got a good pink tint on my lips & I really liked it that way so I will skip the lipstick. This product can be a very good base for lipsticks as it has tint & scrubbing particles & jojoba oil which moisturizes the lips. 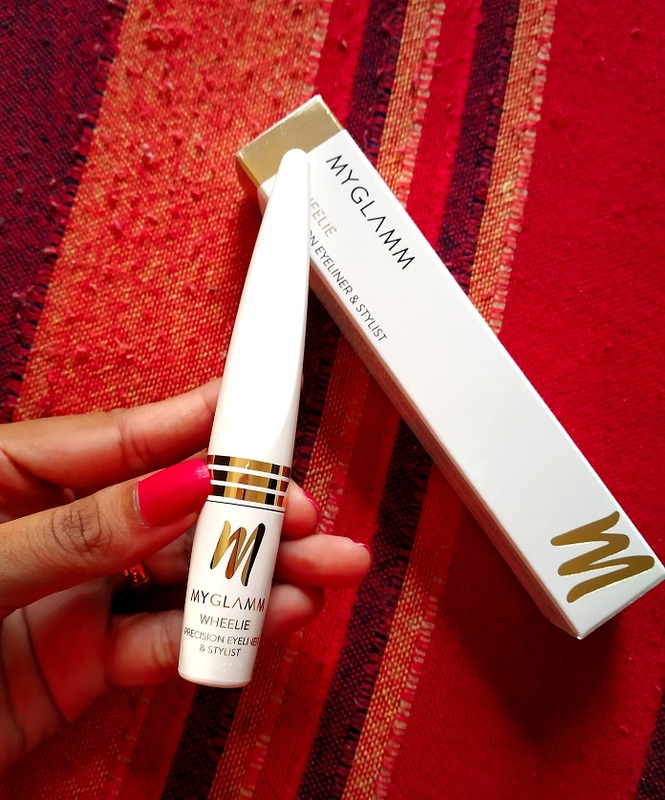 So this is the complete summer-ready makeup look by using the Myglamm products. 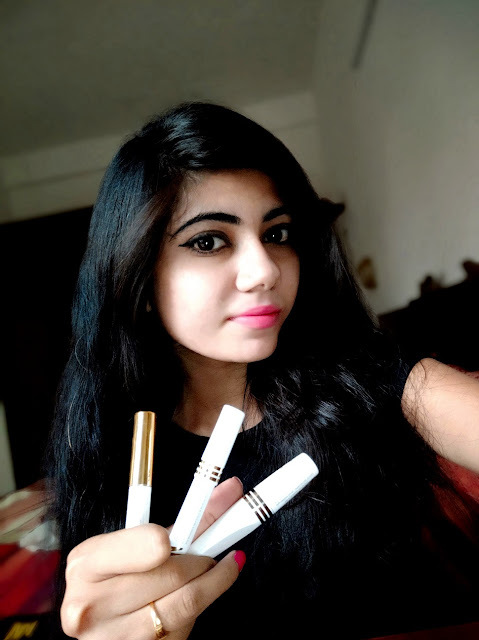 I have made a YouTube video also by using all this product. I hope you will like it so don’t forget to watch it & If you like it then do subscribe my channel & share with your friends too. If you guys want then I can review all the makeup products used in this look as a separate post with full pros & cons. Do mention your opinion in the comment box below. 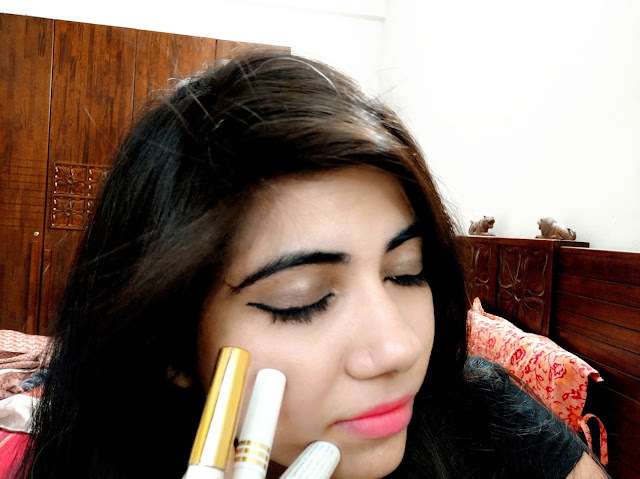 That’s it for today & I will post more makeup looks on my YouTube channel so keep watching & stay connected on Instagram for getting all the upcoming post updates in advance.